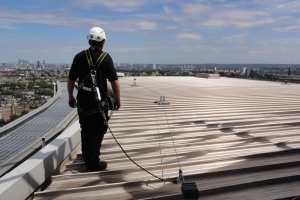 A free standing fall protection system that does not penetrate the roof membrane. 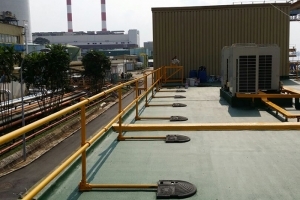 KeeGuard is fully tested and meets or exceeds roof top safety requirements. An EN 795:2012 horizontal life line providing fall arrest / restraint protection where guardrails are not suitable or when a virtually invisible solution is needed. 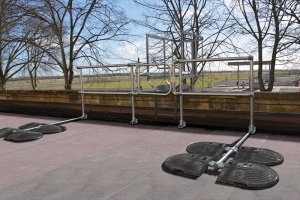 A collective fall protection solution for metal profile and standing seam roofs, utilises a standard base plate with multiple fixing centres. Adaptable roof lights covers designed for trapezoidal and standing seam roofs. 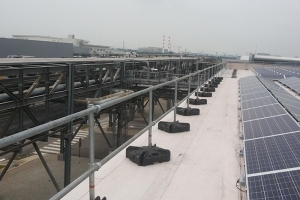 The safety solution for skylight protection on industrial roofs. 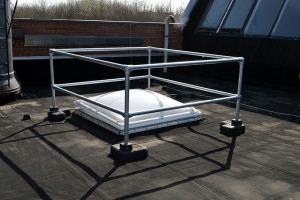 Free standing roof edge protection system, ideal for roofs with limited space. Suitable for both permanent and temporary applications. Free standing non-penetrative roof edge protection, foldable to protect buildings aesthetics and easily re-erected when required. 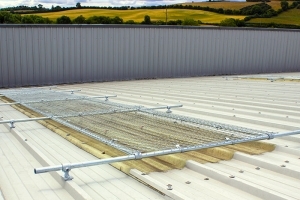 Permanently fixed guardrail either side of an existing fixed ladder with a self-closing swing gate; prevents falls down the side of the ladder. 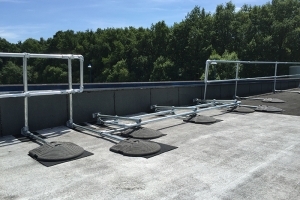 A modular dead weight anchor fall prevention system; Kee Anchor can be used in conjunction with horizontal safety lines and for rope access work. 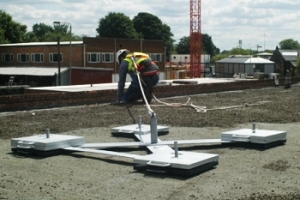 A free standing skylight fall protection system which does not penetrate the roof membrane. Fits square and rectangular skylights, rooflights and domelights. 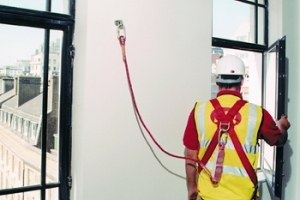 A comprehensive range of Class A1 EN 795 fixed and removable safety anchors, featuring KEYANKA and RINGANKA, an effective fall arrest solution. 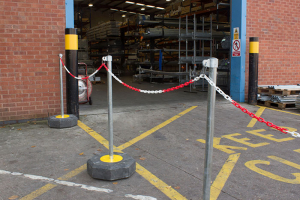 A free standing and modular demarcation system ideal for temporary , interior and exterior situations. 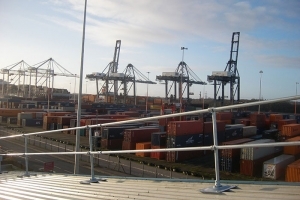 It provides temporary separation for people from hazards.